This restored house is located in a very quiet position, few minutes walking from the centre of the village. A 180m2 property on two floors, with a garden all around and a private path with a fence gate. On the ground floor there is a big and equipped kitchen, a large living room with a romantic fireplace, a sofa bed and a huge bathroom; a beautiful stone staircase connects to the the first floor where there are 3 bedrooms and a bathroom. There is a peaceful and relaxing patio in the garden, surrounded by lots of trees where all the guests can enjoy the wind blowing on the windmills, drinking a glass of good wine of the area. Gabriele and Anna were great hosts. The kitchen is nice and big to cook in, and the bedrooms are nice and big with comfortable beds. We stayed in the middle of August, and did not have a problem being too hot; in fact it was very pleasant sleeping with the windows open, and closing their nice, big shutters. The WiFi was a bit spotty, but this was vacation so it didn't really matter, and we didn't always need to be on our phones. The walking distance into town, with a grocery store, bars and cafes all nearby, was a great bonus too. You really feel like you're "getting away from it all" at this place. 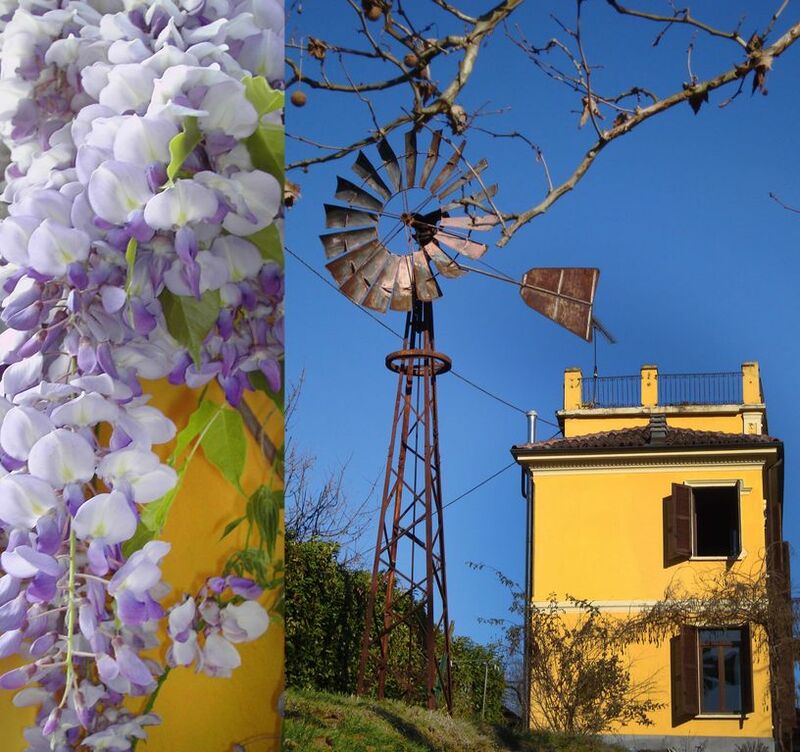 Overlooking the town of Santo Stefano Belbo and a short walk into the centre with bars and shops, this house is perfectly positioned as a base from which to explore this fascinating area. For wine buffs, Barolo is a short drive away and the owners of the property keep a well chosen selection of local wines on the premises that you can buy. Gabriele was on hand to give us first rate advice on what to try. The propert was very suitable for four, clean with a good size kitchen. The location was excellent, with close proximity to many of Piedmont's beautiful towns. Gabriele was very helpful and attentive to our requests. His restaurant and winery suggestions were superb. Tout a été parfait, tant la maison elle-même, impeccable, spacieuse, lumineuse et confortable que sa situation, idéale pour visiter Les Langhe. Nous y retournerons avec grand plaisir dès que possible. Un grand merci à la propriétaire pour la gentillesse de son accueil. Tutto è stato perfetto, tanto la casa stessa, impeccabile, spaziosa, luminosa e comodissima quanto la sua situazione. ottima per visitare Le Langhe. Torneremo con gran piacere appena possibile. Tante grazie alla proprietaria per la sua cortesia e le sue gradite attenzioni..
Nous avons passe un excellent moment dans cette maison, très propre et au calme. Bon emplacement. Excellent accueil de la part des hôtes et de bons conseils. Les pièces sont grandes et tout le confort est la.